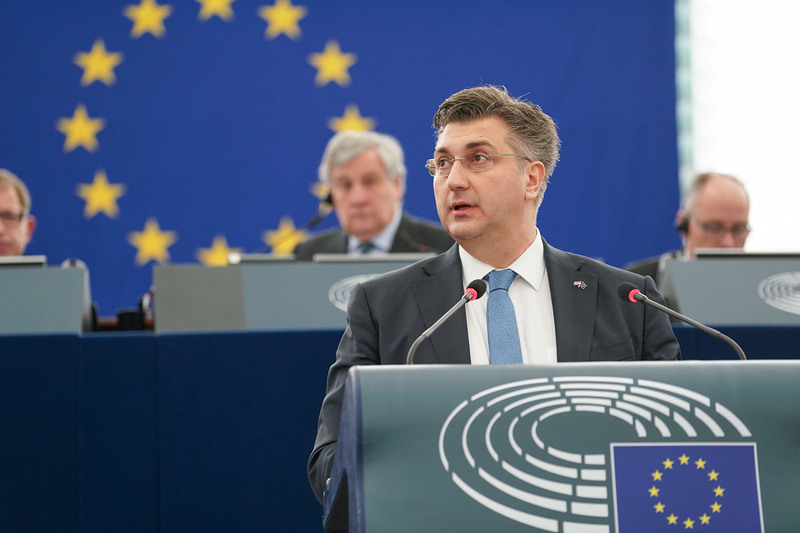 Croatian Prime Minister Andrej Plenković was the second EU leader to debate the Future of Europe with MEPs on Tuesday. Laying out his vision for the future of Europe, the Prime Minister stressed that solidarity must remain “one of the cornerstones of our actions” and that a united Europe is key, “because we can only move ahead if we are together”. Mr Plenković also highlighted the importance of growth and cohesion and that the EU needs all of its members to advance equally. “Our citizens should all feel the benefits of EU membership; they should embrace and actively participate in the continuation of its construction”, he said. The Prime Minister underlined that the EU must invest in education, culture and creativity, in research and development, while at the same time providing for financial stability, which guarantees the protection of citizens from possible financial crises. A majority of Parliament’s group leaders praised Mr Plenković’s commitment to a more democratic Europe, using the country’s break with its recent troubled history as a clear example that, with hard work and determination, a future within the EU is not only possible, it can also be bright. Some MEPs stressed the importance of preserving EU citizens’ national identity, combined with a strong European one, without nationalists seeing this as a contradiction. Others reaffirmed the need for more investment to create jobs, decent living standards, and a Europe that takes more social responsibility. MEPs also called for institutional reforms, such as introducing a pan-European constituency, and reiterated their firm pledge to stand by other countries in the Western Balkans wanting to join the EU, once all border disputes are solved, and the Commission’s criteria have been met. This was the second in a series of debates between EU heads of state or government and MEPs on the future of the European Union. These debates will continue during 2018.